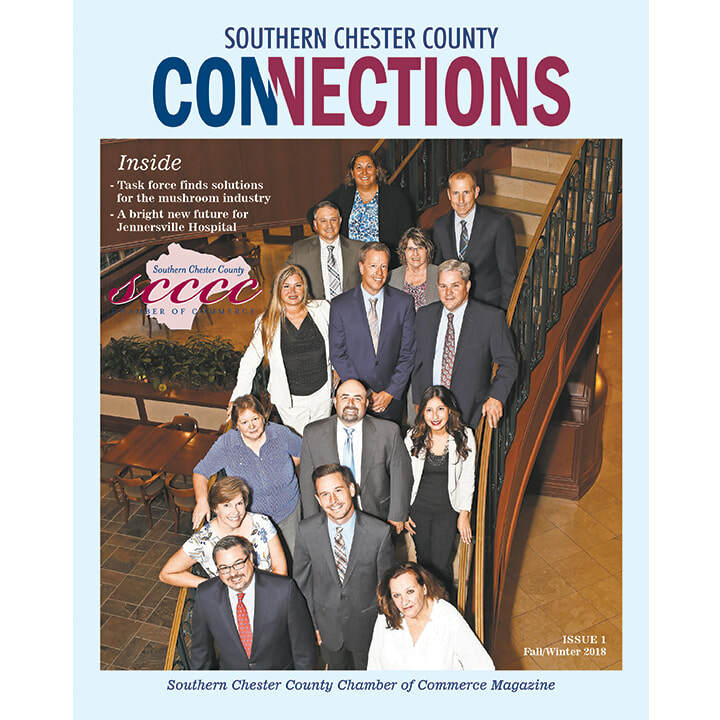 Southern Chester County Connections Fall/Winter 2018 Edition...The official magazine of the Southern Chester County Chamber of Commerce. Our magazine bridges Chamber members and the business community into a splendid, reader-friendly format and links commerce, lifestyle and communities of our Southern Chester County region. Advertise your products and services to the Southern Chester County business community. Reach your audience with a full color advertisement. The quarterly newsletter is emailed to SCCCC business members, posted on the Chamber’s website and emailed to more than 1,200 business email addresses. In addition, the online version includes a live link to your website and e-mail address!